When I was shopping for this product I noticed straight away that there were around 7 different shades and they ranged from a light blonde to black, so there is a lot of shades to choose from and perfect for everyone. I chose the shade Medium Brown and when I first opened it I thought that it would be too light for me, however once I applied it to my eyebrows it was the perfect shade. It does look quite deceiving in the pot and appears slightly lighter than when you actually swatch it or pick some up on a brush. You can see from the photo below that the product in the pot that hasn't been touched looks slightly lighter than the part where I had dipped my brush in and used it. 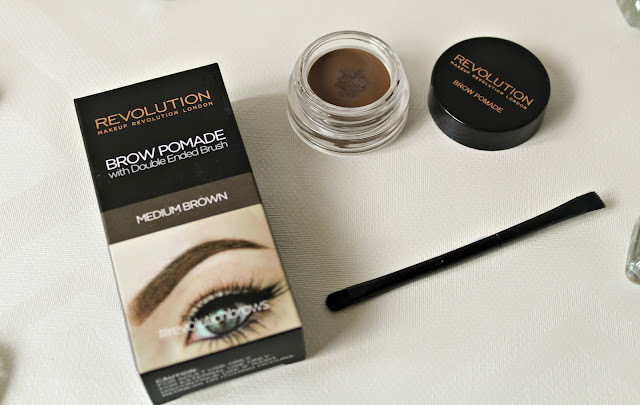 I was quite surprised with the formula of this brow pomade as I had tried one before and it was so stiff and difficult to use that I gave up, however the formula of the Makeup Revolution one is amazing, it is the right mixture of creamy but stiff enough to not be too messy when applying and it just glides on to your brows! I feel like the formula makes it so easy to apply to your brows and honestly it has saved me so much time, I can do my eyebrows in 2 minutes now instead of 10. You can define, shape and fill in your brows with so much ease, it's amazing. How I like to apply this is by picking up a tiny amount of product with my brush and start at the tail end of my brow, working in small strokes and normally just one dip into the pot is all I need to do one brow, I try to not pick up a lot of product because these kind of products can make it easy to go wrong haha! I find that using a little amount makes my brows look really nice and natural looking. Adding a tiny bit more product just further defines them and makes them look slightly more dramatic. On the other hand, with the formula being so creamy, it is easy to make little mistakes but with using a cotton tip you can wipe those away. I always set my brows with some brow gel when I'm done but to be honest, you could probably get away with not doing that with this product as I find it dries down quite matte on me, but with setting them with a brow gel then you know that they're not going to budge the whole day. 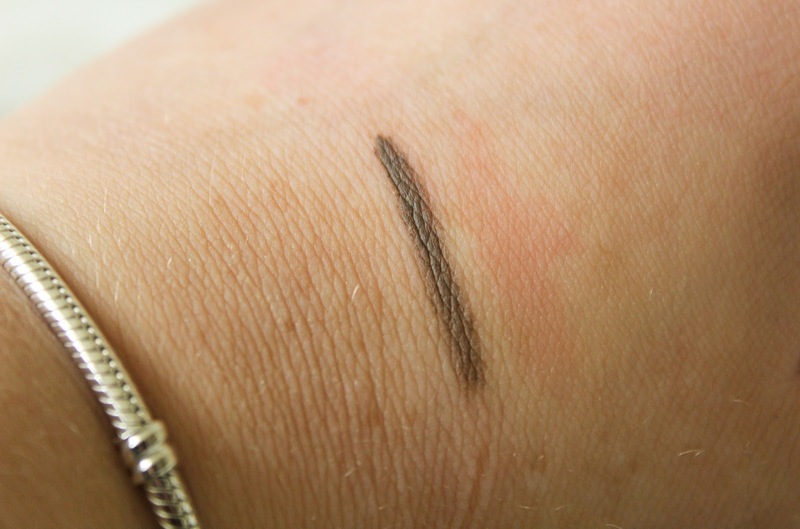 The longevity is pretty good, I find that it lasts all day and my brows stay in place and don't transfer or smudge. The little box that this pomade comes in also has a small double ended brush with it. Now, I normally hate the brushes that come with eyeshadow palettes and eyebrow products but, this brush is not bad at all. 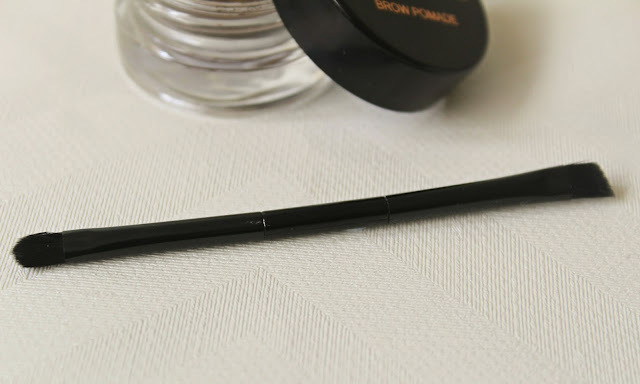 It is a little on the small side but I think it is perfect for keeping in your handbag or makeup bag during the day and if you do need to touch up your brows, voila you have the perfect brush to do so. On the one end it has an angled brush and the other is a more rounded end brush which you could use for touching up concealer etc. This Makeup Revolution Eyebrow Pomade has 2.5g of product in the pot which is nearly half of what you get from the ABH one (4g). However, you do not need a lot of this product at all and it will last you such a long time. For £6 I think that is such a good price and hey, you get a little travel sized brush to take with you! You can grab this from selected Superdrug stores or online here. 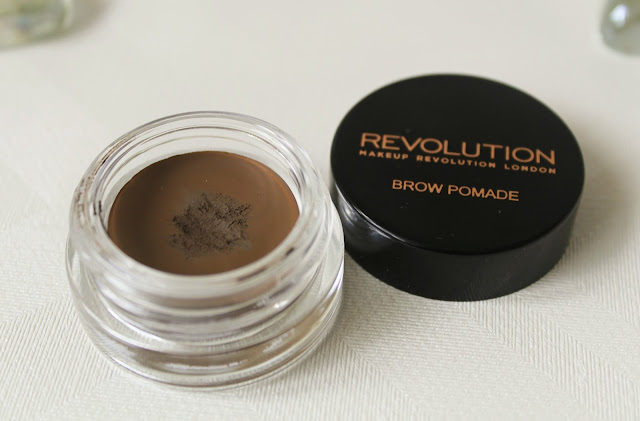 Overall, I think that if you are on a budget and can't afford to pay nearly £20 for the ABH Dip Brow then this is a great alternative, with a fantastic forumal and great price too. I don't think I will go back to any other brow product! 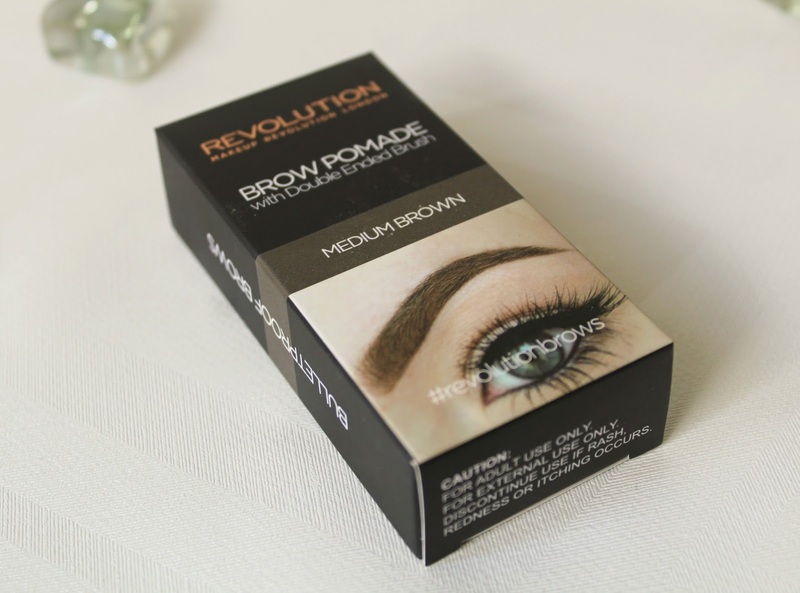 What is your favourite brow product? Let me know in the comments. Great to hear your honest review! Will definitely be checking this product out!! Great post! I've wanted to try the Anastasia Dipbrow Pomade for ages but looks like I'll be picking this one up first! I'm glad there is an affordable version of the ABH pomade, i've been tempted to purchase it for awhile but have wanted to try another drugstore alternative first. So glad to hear this works well! Thanks so much for this review, you're a gem! Same here, I just couldn't bring myself to spend all that money! I love finding drugstore alternatives :) Thank you for reading, love!